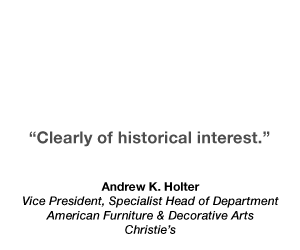 "Unlike any textile I have seen... 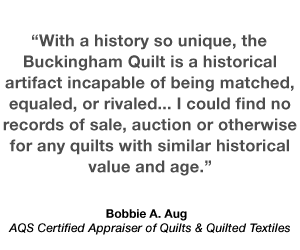 The Buckingham Quilt is not just a quilt, but a true American Historical Artifact like no other." Physical Description - Whole Cloth Style. Construction - Hand pieced, hand quilted. Quilting Pattern - Diagonal parallel lines in chevron motif. 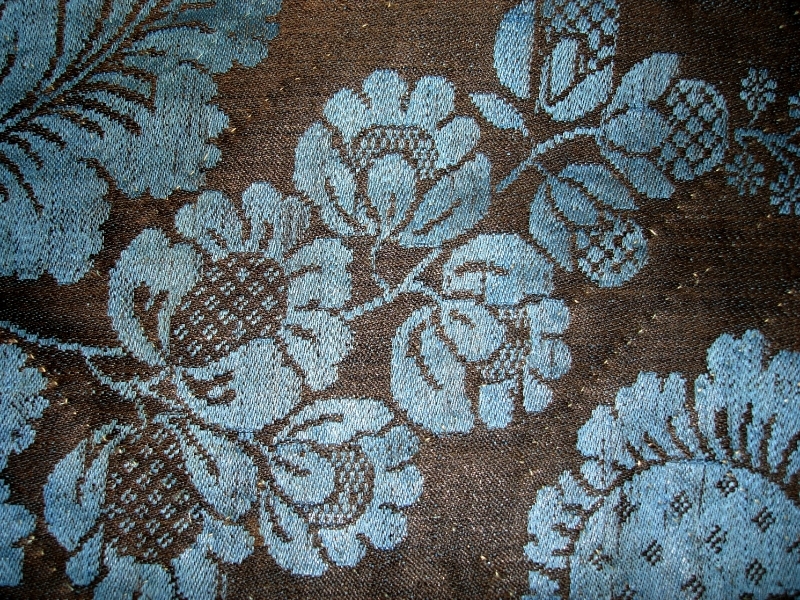 Description - Quilt consists of 6 each 18.5" wide x 37" woven palampore - style glazed floral damask panels in blue pattern on dark brown ground. Bordered on 1 end with woven gold and brown woven wool stripe. Other end is randomly pieced blue on brown. 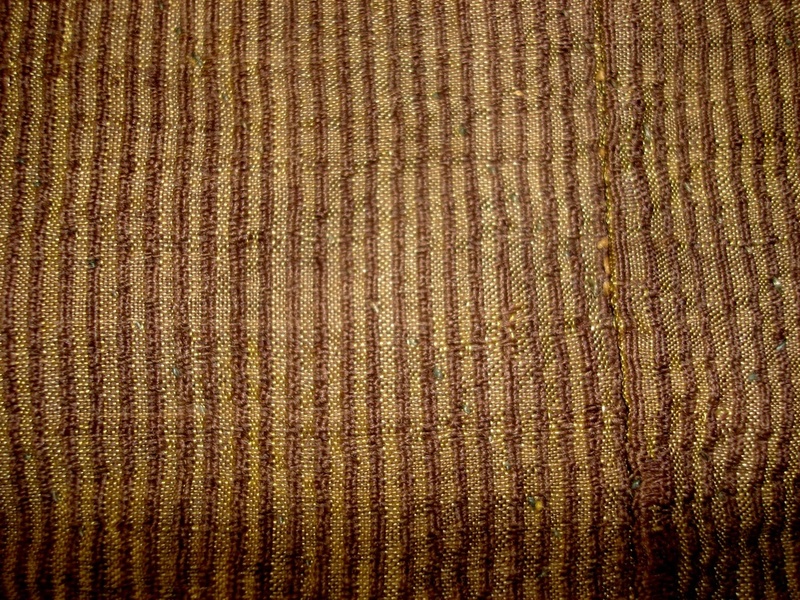 Sides about 12.5" woven gold and brown wool stripe. 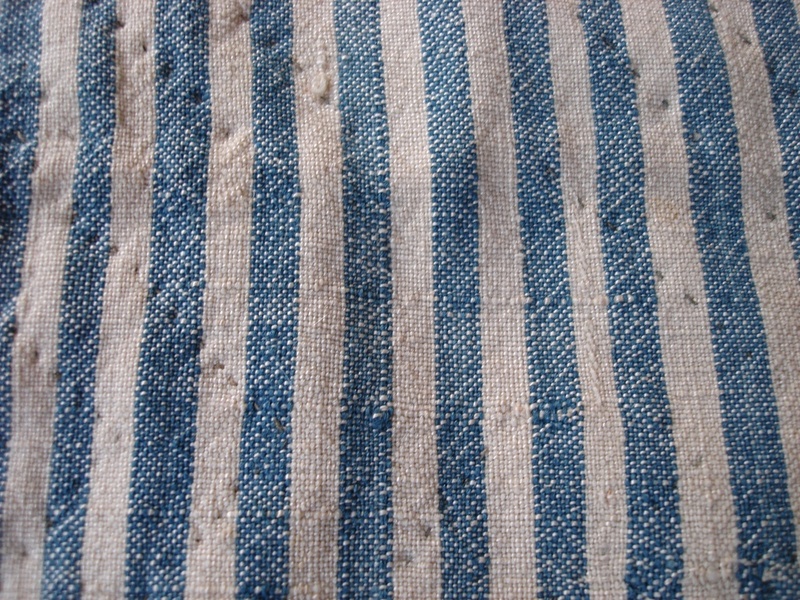 Backing - Hand woven damask in blue and off white stripe with pieced lengths of brown wool. Edge Finish - Green wool applied binding. Workmanship - Construction: Fair overall. Quilting: Fair/good overall. Condition - Some repair, missing stitches/open seams on binding. Fair overall.